1984: Natalie Roush donates 5 acres to the Lopez Community. 1987: The Lopez Community Center Association is formed. 1989: The Outdoor Pavilion is completed. 1990: The first events are held under the auspicies of LCCA. 1993: Planning for the Main Building starts. 1994: Fund raising starts when Andy Holland donates seed money. 1998: Enough funds have been raised and construction starts. 1999: Grand opening of the Center in October. 2002: Sally Bill donates 4 acress to the Center. 2009: The Center celebrates its 10th anniversary. The early history of the Lopez Center for Community and the Arts features the generosity of two individuals, Natalie Roush and Andy Holland. 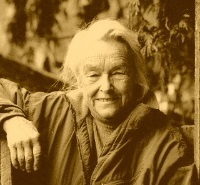 In 1984 Natalie gave the people of Lopez Island five acres in Lopez Village for a community center. Since there was no civic entity that could legally accept the gift, Bill Burke, then a Commissioner for the Port of Lopez, proposed that the Port Commission accept the property in Trust until such time as a community association could be formed. The Lopez Community Center Association (LCCA) was established and a Board of Trustees elected by the island's population in 1987. Soon thereafter an outdoor pavilion was built, and a series of summer concerts began. 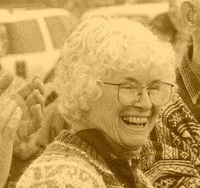 In 1993 the Board began planning for a community center facility as envisioned by Natalie. The primary catalyst for the fund raising campaign came in July 1994, when Andy Holland presented a check for $50,000 and basically told the Board to get going with the project. An extensive fundraising campaign ensued. By 1998 the money to build and open the Center had been acquired, and construction began. The Lopez Center for Community and the Arts opened its doors to the community for a grand celebration in October of 1999. 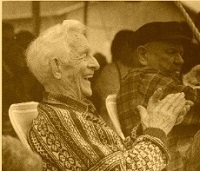 In 2002 Sally Bill generously donated an adjacent four acres. This area is now home to the Children's Center, the Farmers Market, Fertile Ground community garden, and open space known as Sally's Garden in the heart of the village. At about the same time a small skate park was built by a community group on a portion of the original land along Fisherman Bay Road. In 2013 Shawn O'Day donated entirely new skate park equipment. Lopez children were invited to help design the new park and a massive opening celebration was held with many world renown skaters and bikers. Thanks to the generosity and the creative work of these and countless other community members, Lopez Island has a protected green open space and facilities that will be in use for generations.